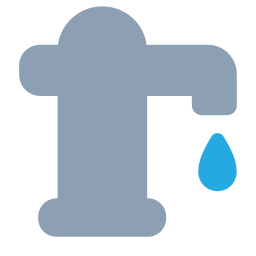 Whether it's soil moisture, weather, or a water metering station you're looking for, the RS300 advanced field sensing device can help you get the right data to make informed decisions. 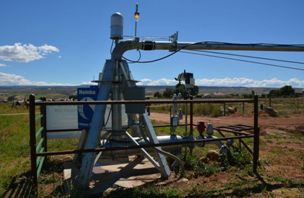 The RS300 by Ranch Systems, is a device that is compatible with a variety of field sensors and communicates this information over a cellular connection to Reinke's ReinCloud™ Ag-Data Services. The RS300 is powered using a solar panel and rechargeable battery making it easy to place this anywhere in the field for continued data collection. Its versatile mounting configuration allows it to be installed on utility struts, poles, posts, and more. Contact your knowledgeable Reinke dealer to find out more about this great product that gives you the information you need to make those everyday decisions. Learn how a Colorado farmer uses the RS300 to maximize his farming operation. 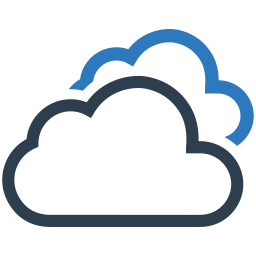 Data from the RS300 is accessed through Reinke's ReinCloud™ Ag-Data Service. Within ReinCloud, you'll be able to view the most recent information while also gaining access to historical data through graphs. 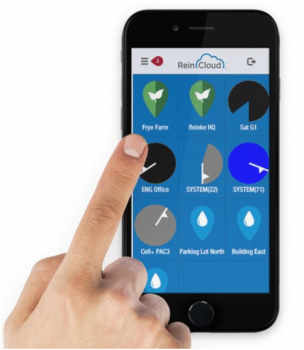 ReinCloud will display the RS300 station within the property and dashboard alongside the other equipment you have activated within your account making it easier to manage all of your ag-based data in one single location. Customized alerts can also be setup at time of activation alerting you of critical conditions.